Excellent for long haired breeds. A botanical leave on conditioning spray that maintains the moisture balance within the hair shaft preventing the coat from becoming dry, and damaged. Reduces shedding. 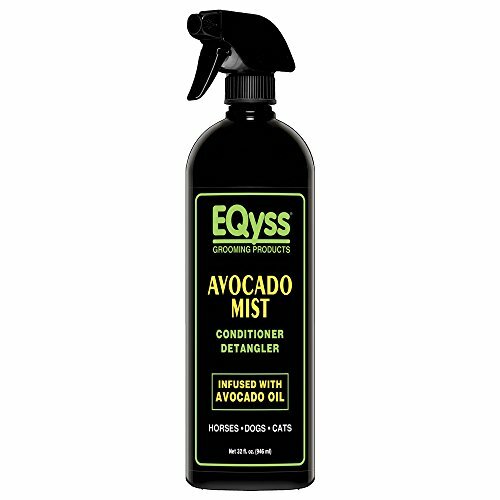 Shines and conditions the coat with a unique formula that combines extracts of Avocado and Aloe Vera. Detangles without adding weight to the hair. Replenishes natural oils lost in shampooing. Can be used on a wet or dry coat. Anti-static, silicone and alcohol free. Refreshing scent.